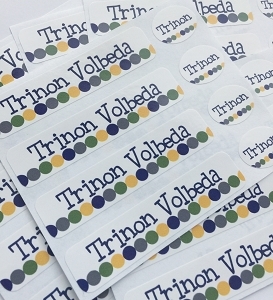 Adorable set of 64 name labels in assorted sizes. Perfect for labeling lunchware, school supplies, personal items, daycare gear, pool toys and more! 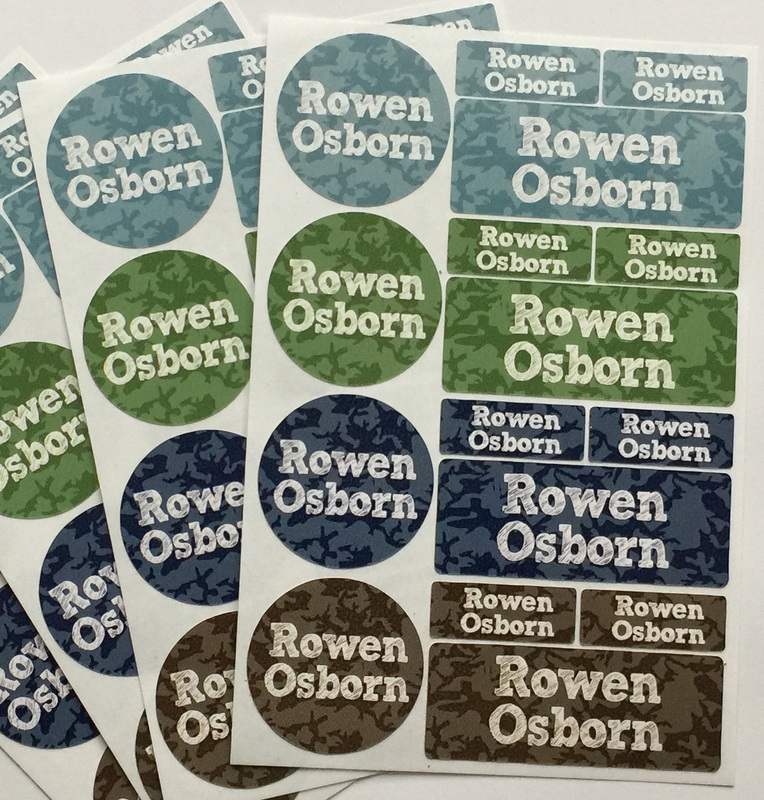 Set includes 16 round labels (1.5") + 16 oblongs (1"x2.5") + 32 minis (1.25"x0.5"). Personalized with any name or a name with phone number. Labels are dishwasher-safe; avoid detergents with chlorine bleach. 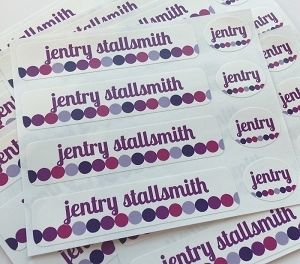 Adorable set of 64 personalized name labels in assorted sizes. Perfect for labeling lunchware, school supplies, personal items, daycare gear, pool toys and more!